Cosmic rays may help to prophesy the weather. 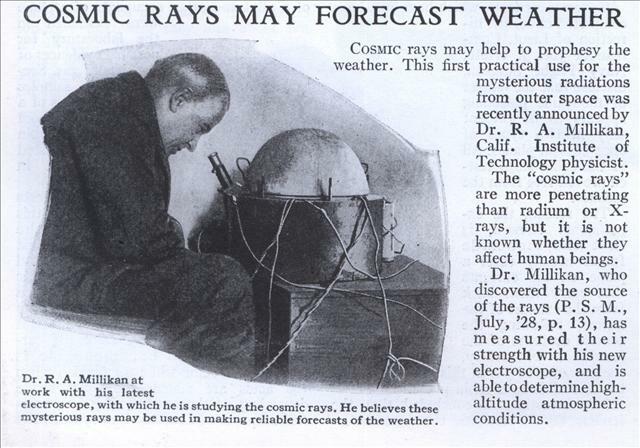 This first practical use for the mysterious radiations from outer space was recently announced by Dr. R. A. Millikan, Calif. Institute of Technology physicist. The “cosmic rays” are more penetrating than radium or X-rays, but it is not known whether they affect human beings. 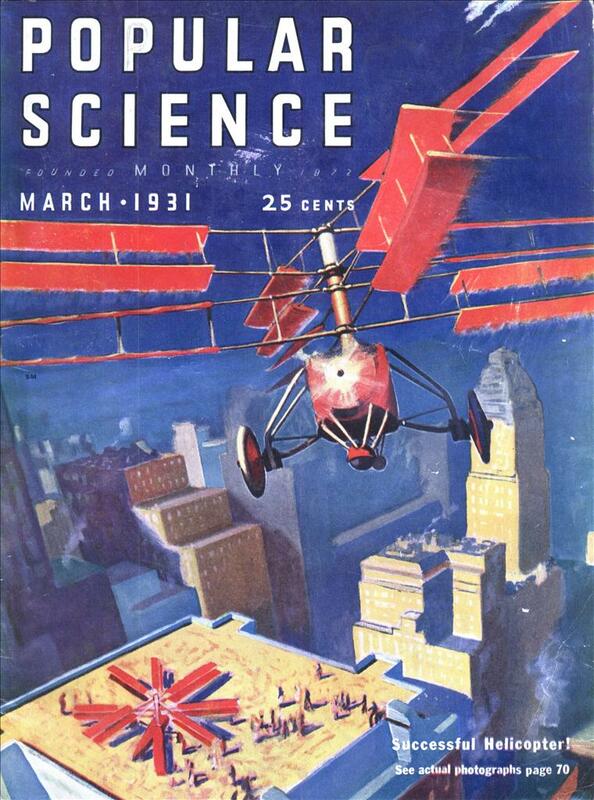 Dr. Millikan, who discovered the source of the rays (P. S. M., July, ’28, p. 13), has measured their strength with his new electroscope, and is able to determine high-altitude atmospheric conditions.